"Paintings With Cows Never Do Well. Never"
First of the Series, "Paintings With Cows Never Do Well. Never", a "rule, offered by New York private dealer David Nash". 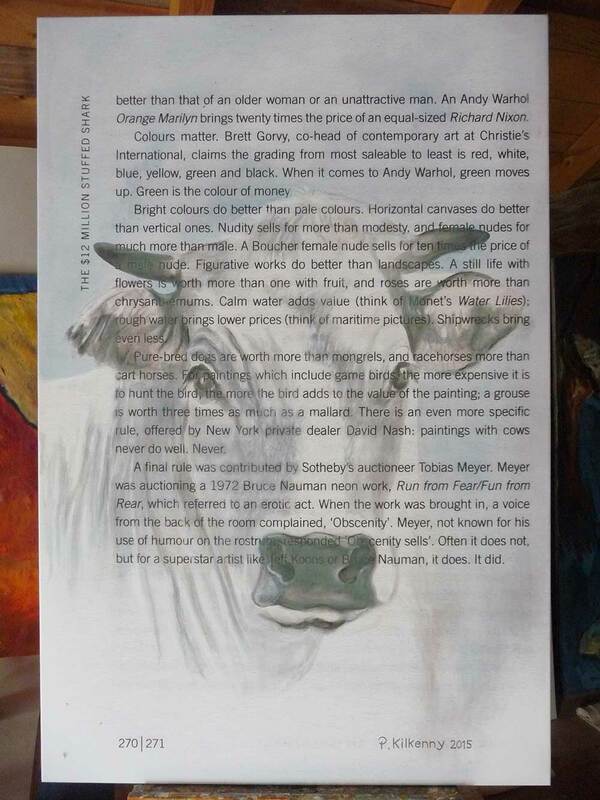 The page on which this "rule" appears has been reprinted on canvas over which I have painted a cow. I received permission to do so from Don Thompson, the canadian author of the book "The $12 Million Stuffed Shark", who wrote to me that he enjoys my work. In my wild venture, connecting Tittmoning to New York, I hope David Nash will too. 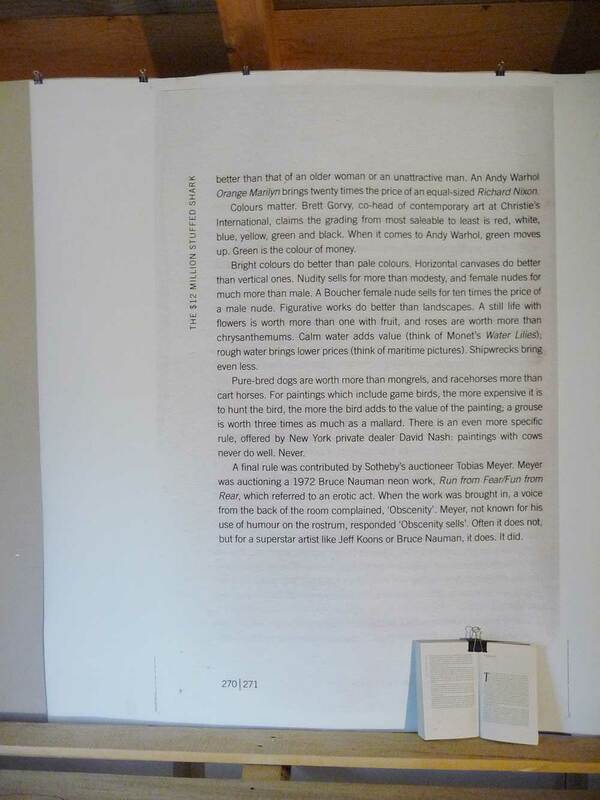 The photo to the left shows the canvas prior to painting, 130 x 90cm, printed with the page from the book "The $12 Million Dollar Stuffed Shark" and to the right the completed work.